Call us 8am-6pm Monday to Saturday. Entertain outdoors in style with this chunky, funky, synthetic outdoor rattan garden bar set – Ex-display Save £800. 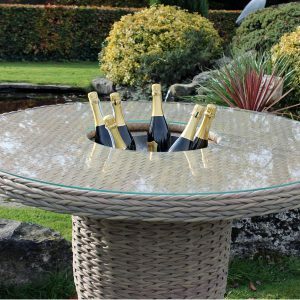 This Bude Rattan 4 Seater Outdoor Bar Set comprises a round garden bar table with an integral ice bucket and a glass top and 4 x high outdoor bar stools. It is manufactured in an ingenious synthetic Water Hyacinth weave which brings luxury and comfort to your outdoor area all year round. Want to “feel the goods” before you buy? No problem, we can send you a FREE Sample so you can appreciate exactly why this weave is so special. The Aluminium frame and Rattan weave are guaranteed for 3 years. 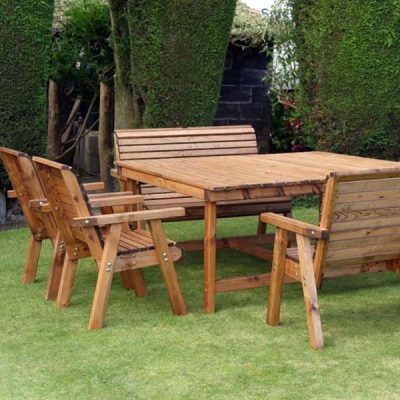 The Bronte 8 Seater Square Garden Dining Set is stronger and more durable than cheaper sets on the market and has been handmade in the UK from sustainably sourced Scandinavian redwood. The set includes: 168cm square table, 4 x armchairs and 2 x two-seater benches. 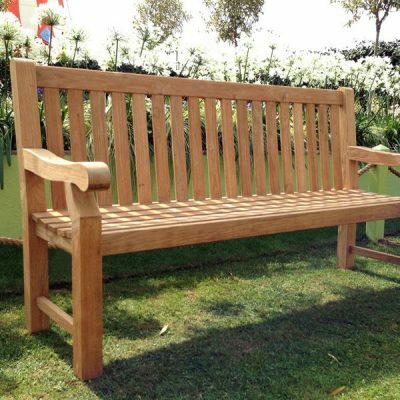 This Tennyson 180cm Teak Park Bench has been expertly crafted to the highest spec from durable, responsibly sourced teak using traditional methods such as tight-fitting mortise and tenon joints with teak dowels for excellent quality, durability and aesthetic appeal. Our Poole outdoor furniture is made from a thick, synthetic rattan weave which has a robust yet natural look … the perfect blend of the rustic and the contemporary. 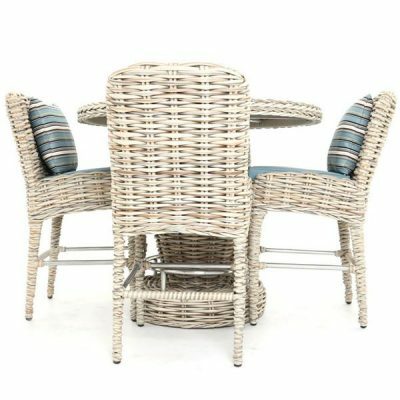 This stylish Poole 4-Seater Outdoor Rattan Bar Set comprises a garden bar table and 4 high stools with outdoor cushions. 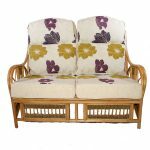 Our Scarborough rattan furniture looks and feels fabulous. With contemporary designs that combine practicality with pristine finishing, the Scarborough range will make any conservatory, garden patio or outdoor area look a million dollars. 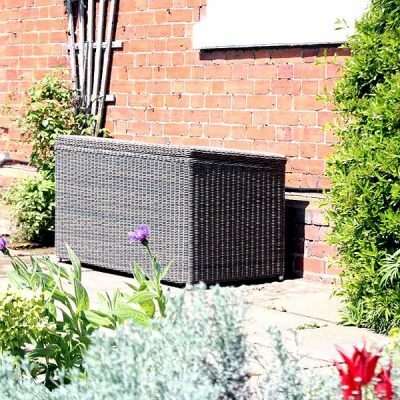 This lovely Scarborough Rattan Storage Box is no exception. 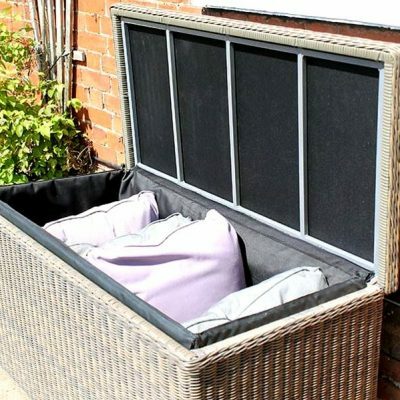 With a gently sloping lid, insulating inner seal and an all-weather synthetic Ecolene rattan, the box is fully waterproof and so is perfect for storing cushions, blankets, throws, children’s toys or other outdoor equipment. Finally… a high quality, contemporary Gazebo that you can leave up all year round. The Mojave Metal Gazebo is unbeatable on quality, durability and style and can withstand winds of up to 120km/h. The shuttered roof, which has an easy-open mechanism, is fully waterproof when closed and strong enough to bear the weight of snow. 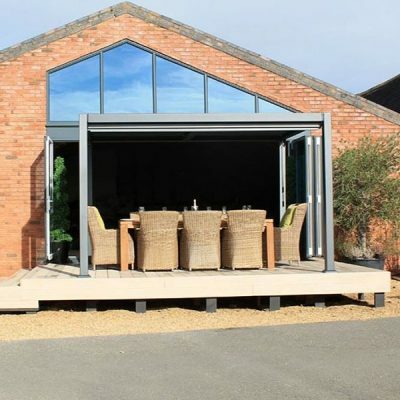 Perfect for outdoor dining and entertaining, this silver-grey, powder-coated, aluminium gazebo could also offer shade for your car or privacy when using your hot tub or jacuzzi. Steamer chairs and loungers were once used aboard luxury cruise ships and ocean going liners, where wealthy passengers demanded quality, comfort and luxury. 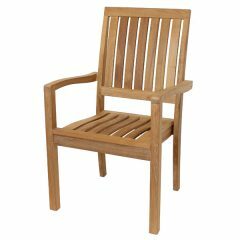 Keeping that heritage in mind, this Pacific Folding Teak Steamer Chair Sun Lounger is a modern twist on a classic design and brings a touch of luxury to your home, garden or pool room. 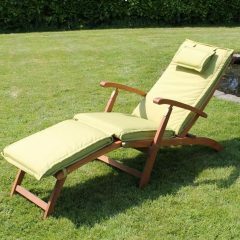 Pacific Folding Teak Steamer Chair Sun Lounger. Steamer chairs and sun loungers were once used on board luxury cruise ships and ocean going liners, where the wealthy passengers demanded quality, comfort and luxury. 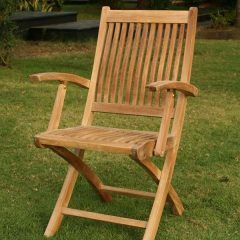 Keeping that heritage and all of those qualities in mind, this Pacific Folding Teak Steamer Chair Sun Lounger is a modern twist on a classic design and will bring a touch of luxury to your home, garden or pool room. 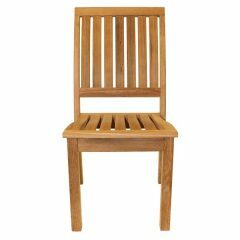 Hand-finished in high quality teak and with polished, solid brass fixings, this sturdy teak steamer chair features an attractive vertical slat design with a wide headpiece containing a hand hole to make moving the lounger around easier. 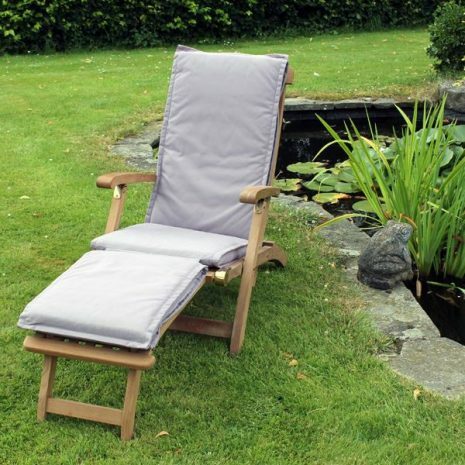 The backrest is adjustable to five different positions for maximum comfort while the footrest is removable, which makes this a flexible option, particularly if the lounger is to be used indoors. 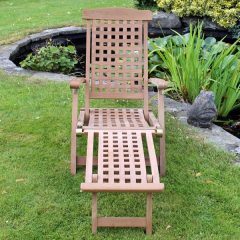 The Pacific Folding Teak Steamer Chair Sun Lounger will be an attractive addition to any room or conservatory but the natural water resistant qualities of the teak mean that you can also use your lounger in your pool room or outside if you wish, where it will age gracefully from the warm honey-brown colour to a lovely silver-grey. However, if you prefer the original colour, all you need to do is wash the lounger down with soap and water and its colour will return. 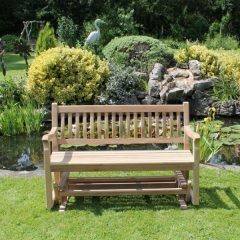 Alternatively, you can use one of our superb Teak Care Products. Hand-finished in top quality teak. A modern twist on the classic steamer chair design which is ergonomic, luxurious and comfortable. Useful handle in the headrest for moving the steamer around. 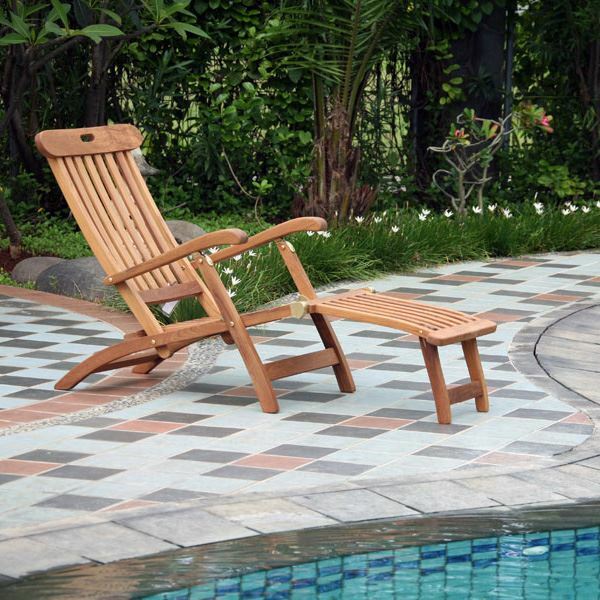 The naturally high oil content of the teak makes the steamer suitable for use outdoors or poolside as well as indoors. Low maintenance. 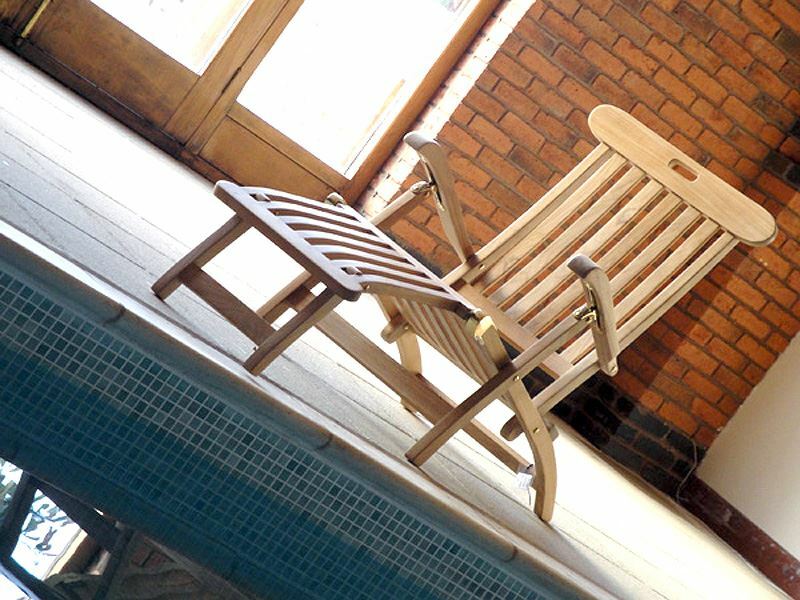 A simple wash down every now and again will restore the teak’s original colour. Matching cushions available as optional extras. Interested in the history of steamer chairs? We found this fascinating blog piece about steamer chairs in an article called The Brief History of Deckchairs. We offer Free Delivery On Most Orders to most parts of England, Wales. Most of our rivals use cheap palletised delivery services which will only deliver to your front door. 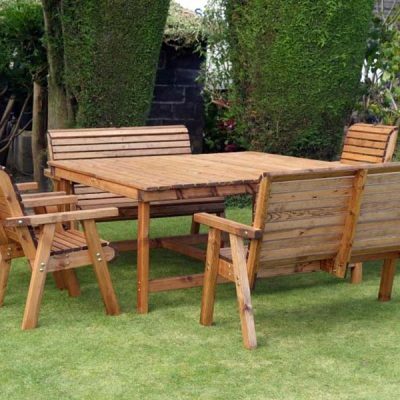 Unlike Rattan and Teak, they do not offer expert assembly, furniture installation and rubbish disposal services. If you purchase from them, it will be your responsibility to assemble your furniture, move/install it into its final place and to dispose of the cardboard / pallet waste. This can require specialist tools, can be physical challenging and can also be time consuming. 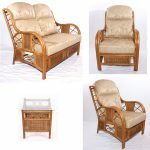 Many of Rattan and Teaks products are very heavy and/or require specialist assembly. 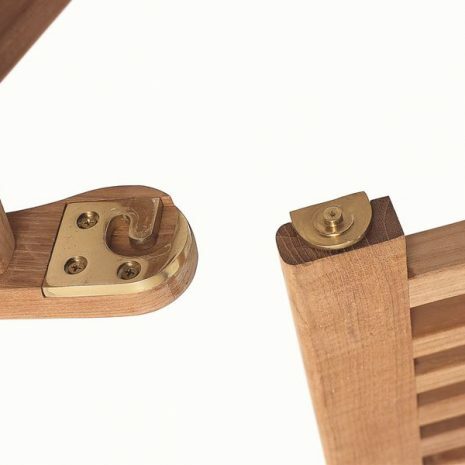 We offer 3 levels of optional Assembly and Installation Service, Gold, Silver and Bronze which reflect the time and effort required to assembly your furniture. If you see the “two man delivery logo” in the product details we recommend you add the optional Assembly and Installation Service to the shopping cart. We normally deliver goods between the hours of 7am and 6pm and will deliver 7 days a week to ensure we meet customers’ expectations. However we know how frustrating it is to be waiting in all day wondering when your delivery will arrive so we will contact you the day before delivery to give you an approximate arrival time. Our drivers will contact you again on the day of delivery if there is a significant change to the arrival time. Please see the Delivery Details page for full details of the Postcode Exclusion Zones, Postcode Additional Delivery Charge Zones and our delivery service. If you have any questions about our Free Delivery On All Orders service, just get in touch on 01789 509544. We are here to help and are always happy to discuss what works best for you and the item(s) you have ordered. Delighted with the conservatory furniture delivered to us today. Exceptional value for money and the service spot on. Thank you. We have no hesitation in recommending you for quality price and service. Order arrived in 2 days! Overall a really top notch bench and service. Thanks very much! Low maintenance. 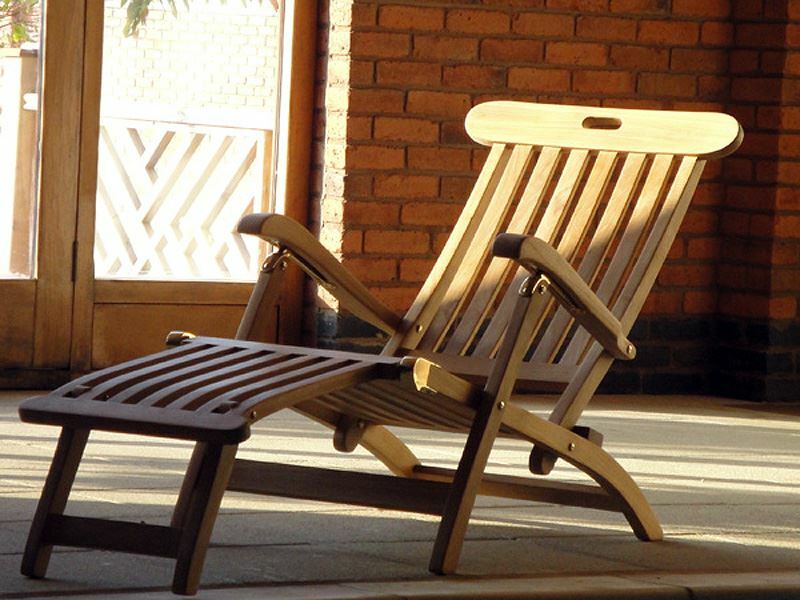 A simple wash down every now and again will restore the teak's original colour. 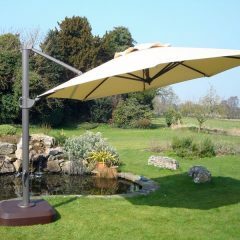 Our Bonnington Tilting Cantilever Parasols bring you maximum flexibility and strength. Wherever you want to use them, no matter how high or low the sun, they are quick and easy to adjust thanks to an easy-winder, 360 degree control, a clever tilt mechanism and telescopic wheels. 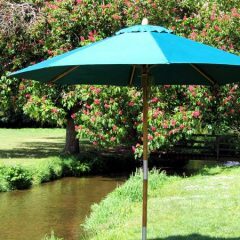 With a choice of vibrant parasol canopy colours. Comes complete with the base. Steamer chairs and loungers were once used on board luxury cruise ships and ocean going liners, where the wealthy passengers demanded quality, comfort and luxury. 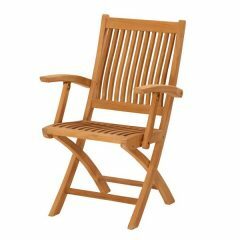 Designed with that heritage and all of those qualities in mind, this beautiful Atlantic Folding Teak Steamer Chair Sun Lounger Plus Removable Footrest will bring a touch of luxury to your home, garden or pool room. Made from UV resistant, waterproof, heavy duty Polyester which is UPVC lined and seam taped to provide your sun lounger complete protection all year round. Ideal for both commercial and domestic buyers. Don’t get fooled by cheap imitations. Buy the cover your luxury furniture deserves. 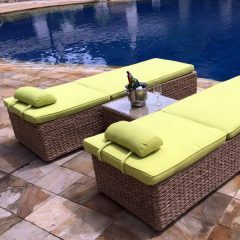 All Rattan and Teak outdoor cushions are bespoke made in quality, hard-wearing, water resistant, UV resistant and chemical resistant Olefin fabrics which come in a vibrant range of colours. So they are visually attractive and great value. 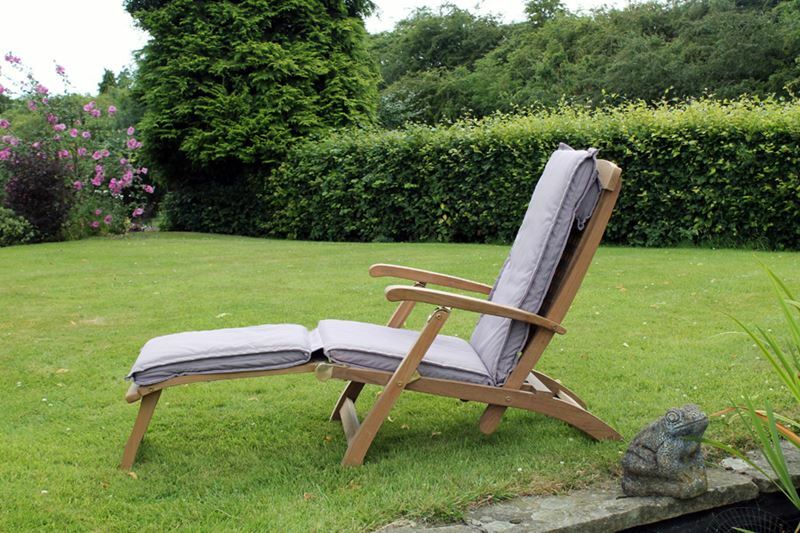 You won’t want to wait for the sun to come out when you see this inviting Bude Rattan Sun Lounger which comes with a FREE luxury cushion. 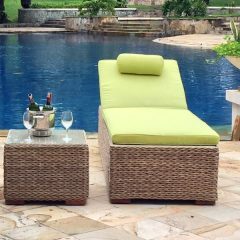 The lounger is manufactured in an ingenious, eco-friendly, synthetic Water Hyacinth rattan weave which means it can stay outdoors all year round. With wheels and an adjustable back and head rest. 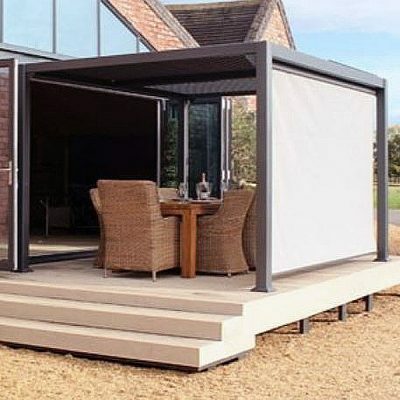 The Aluminium frame and Rattan weave are guaranteed for 3 years and the fabrics have a 2 year guarantee. Unlike many cheaper models on the market, this Irvine 350cm Octagonal Bamboo Garden Parasol brings you quality and durability combined with a simple, aesthetically pleasing, contemporary design. 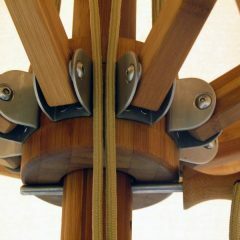 It is made from the finest materials, including responsibly sourced natural bamboo, marine-grade stainless steel and vibrant Olefin canopy fabrics that are moisture, UV, wind and chemical resistant. This quality parasol is guaranteed for 5 years. 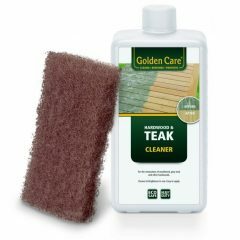 The only Teak Cleaner you will need! 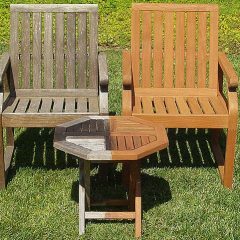 It is a cleaner & brightener in one and can clean and restore discoloured, dark grey teak and hardwood. This water-based formula is not only a high concentration cleaner, but it also contains brightener ingredients, which bring back the original colour of new teak/hardwood. 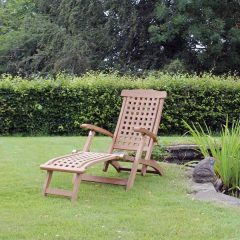 This Gainsborough Folding Teak Armchair is a perfect blend of elegant curves and simple, practical design and is ideal for people who want beautiful, long-lasting outdoor furniture but who also want it to be easily stored away after use. 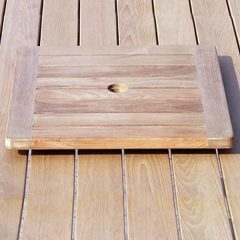 This 60cm Square Lazy Susan is perfect for indoor or outdoor use, being made from high quality teak. With a pleasing geometric pattern, this Lazy Susan will look really good on your dining table as well as being practical. It comes with a parasol hole. 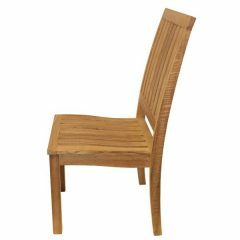 This sustainably sourced teak chair is a perfect blend of elegant curves and simple, practical design. It is ideal for people who want beautiful, long-lasting outdoor furniture but who also want it to be easily stored away after use. Comfortable to sit on during those long, leisurely dinner parties with or without a cushion. A perfect piece of furniture for commercial use as well as for smaller homes and gardens where space is an issue. 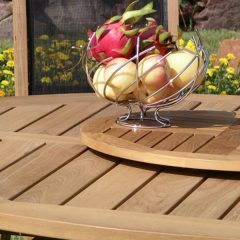 This 75cm diameter Lazy Susan is perfect for indoor or outdoor use, being made from high quality teak. With a pleasing geometric pattern, this Lazy Susan will look really good on your dining table as well as being practical. It comes with a parasol hole. 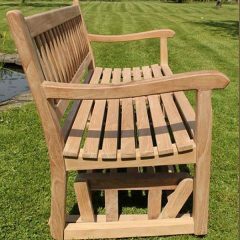 Picture yourself rocking gently back and forth in the sunshine on this beautifully crafted 150cm Teak Garden Rocking Bench. 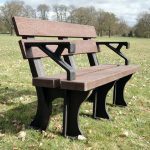 With a smooth hand-finish, the bench will seat 3 to 4 people. 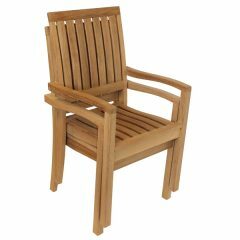 This A Grade teak, outdoor dining chair is a perfect blend of elegant curves and simple, practical design and is ideal for people who want beautiful, long-lasting outdoor furniture but who also want it to be easily stored away after use. it is lovely and comfortable to sit on during those long, leisurely dinner parties with or without a cushion. A perfect piece of furniture for commercial use as well as for smaller homes and gardens where space is an issue. Get 33% Off Assembly and Installation! 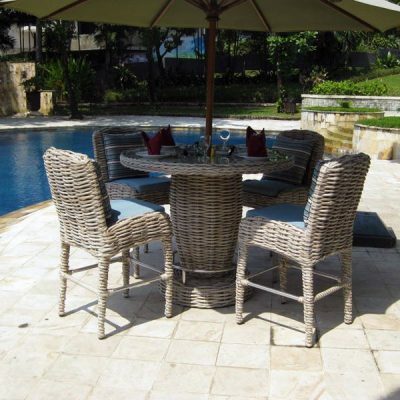 Here at Rattan and Teak we know that the assembly and placement of large / heavy furniture items can be a challenge. 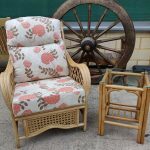 If you hold a “Blue Badge” then Rattan and Teak want to help by providing 33% Off Assembly and Installation on appropriate products. . Simply add the optional Assembly and Installation Service to your shopping basket when selecting your products. Then when you check out, add Coupon Code INSTALL33 to the shopping basket and you will receive the discount. Note: this coupon cannot be used in conjunction with other coupons. If you have any questions, call our Customer Service team on 01789 509544 or email us at CustomerService@RattanandTeak.co.uk. Available on products showing the “Two Man Delivery” icon. Our professional Assembly and Installation team will assemble the furniture, position it in the location of your choice (where possible) and dispose of all packaging. All that is left for you to do is admire and enjoy your new purchase. 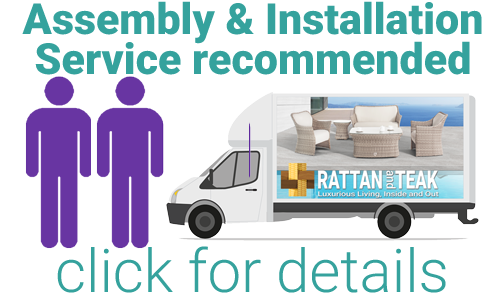 Here at Rattan and Teak we know that the assembly and placement of large / heavy furniture items can become more of a challenge as time goes by. 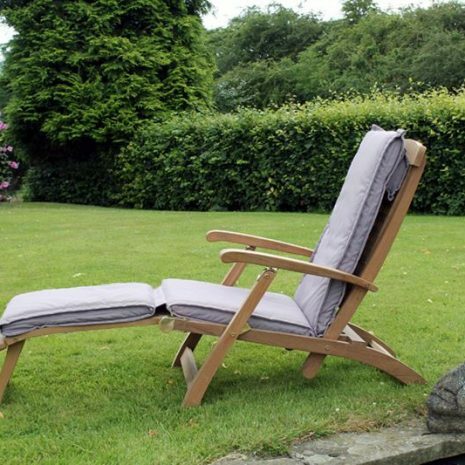 If you are a Silver Surfer (aged 70 or over) then Rattan and Teak want to help by providing 33% Off Assembly and Installation on appropriate products. 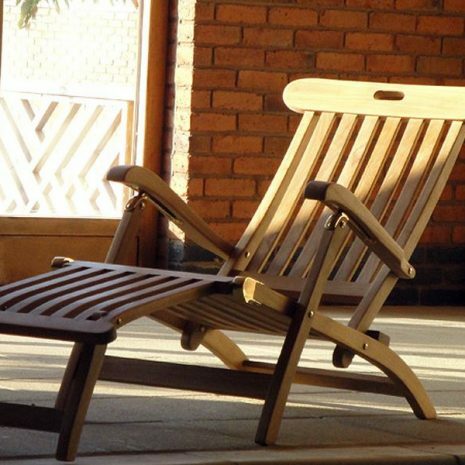 Many of Rattan and Teak’s products are heavy and/or require specialist assembly. 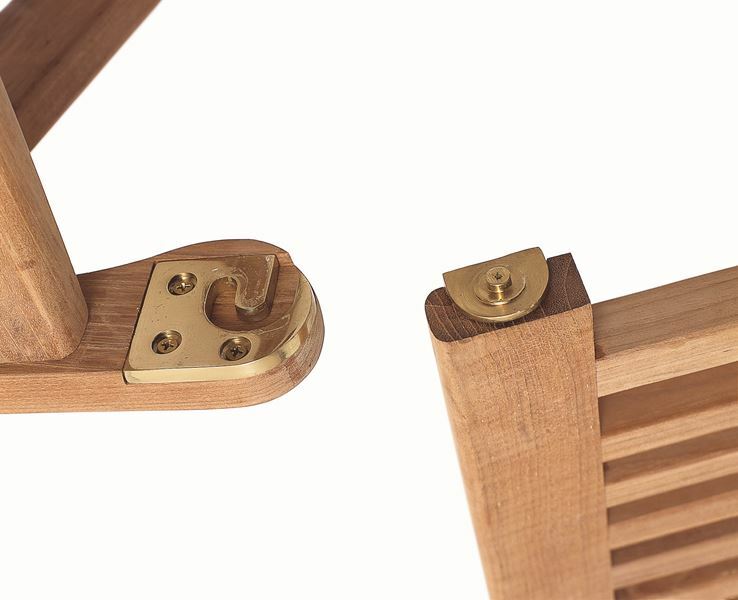 We have 3 levels of optional assembly and installation service, Gold, Silver and Bronze which reflect the time and effort required to assembly your furniture. We recommend that customers choose our optional Assembly and Installation Service for this product, so why not add this to your cart now? Typically two man delivery in one of Rattan and Teak’s fleet of vans. Our professional installation team will assemble the furniture, position it in the location of your choice (where possible) and remove all packaging and waste. No fuss, no effort. No mess, no stress. Sorted! Single man delivery, possibly by parcel delivery or carrier. You will be responsible for unpacking, assembling, setting out the furniture and disposing of any packaging. 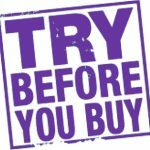 Want to save £25 off your first order? and we’ll email you a “welcome gift” coupon code. Click here for your £25 discount coupon code. 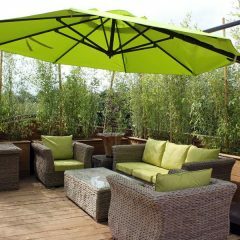 Get 25% off parasol bases and covers on selected Parasols. Get a Free 75cm Teak Lazy Susan when you buy selected Constable Teak tables. 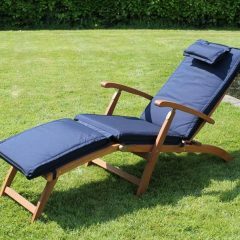 10% off selected Sandbanks AquaMax Outdoor Rattan furniture. Get a wonderfully personal wedding, anniversary or birthday gift. 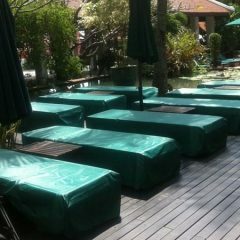 50% off teak care & weather covers on selected Hockney Reclaimed Teak tables. Get 10% off and a Free All-weather cover on Apple Day Beds. 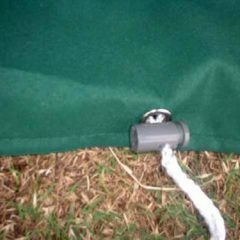 20% off selected Heavy Duty Outdoor All Weather Furniture Covers. If you like shabby chic, this quirky Tuk Tuk Bar Set will be up your street. 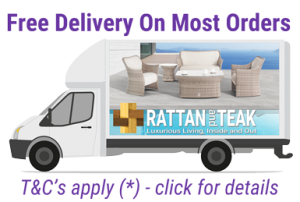 Welcome to the Rattan and Teak Special Offers shop. 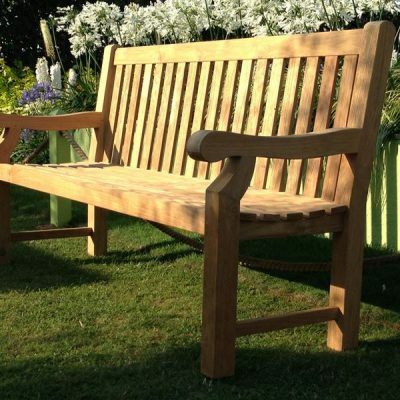 A place where you can find incredible special offers on unique, high quality, beautiful furniture and ornaments that will add a touch of class, comfort and luxury to your garden, conservatory or patio. We offer something different, with a range of products that are not available on the high street. So if you want to make your home or garden stand out from the crowd, then you have come to the right place. We think you will love our product range as much as we do! To be first to hear about our incredible Garden and Conservatory Furniture, our sales and featured products then Subscribe to our Marketing list and we will send news, details of sales and special offers sent directly to your inbox. Better still you will get a 10% discount off your first order. “See – Touch – Feel” our furniture! Here at Rattan and Teak, we see the incredible quality and beauty of our products on a daily basis and are still wowed by them. Our customers also wax lyrical about how fantastic our products are and how they stand out from the usual stuff found on the high street! However, we appreciate that when buying products from home you don’t get the opportunity to see, touch or feel the furniture before being fully committed, and that can put you off making a purchase. 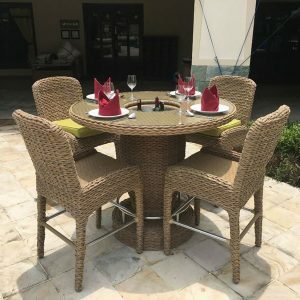 On appropriate products Rattan and Teak can provide the opportunity to see the furniture in person before making your purchasing decision. To discuss how, please contact our customer services team on 01789 509544 or email us at CustomerService@RattanandTeak.co.uk and we will make the necessary arrangements.